One of the most important ritual when a new gadget comes out is, iFixIt doing a teardown. 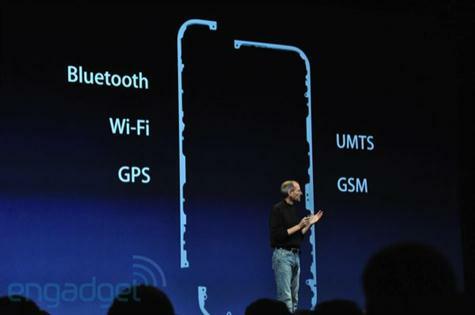 Apparently, Jobs decided to show everyone what’s inside the new iPhone 4 before iFixIt did. 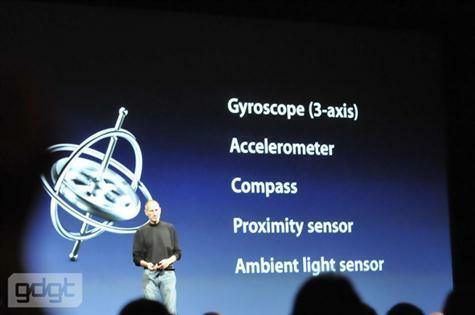 The new iPhone 4 has two engineering marvels in it – a Gyroscope and the stainless steel body being used as antennas. 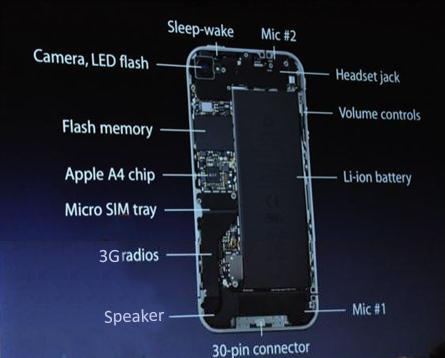 Here are a couple of images from today’s keynote that shows you the insides of the iPhone 4. NOTE: I’ve edited this image in Photoshop, combining two Engadget images. The outside remains pretty much the same, except another Mic being added to the top, a front-facing camera and a flash at the back for the camera which is now a 5 megapixel cam. The new cam also does HD video recordings. Information courtesy Engadget and GDGT’s live blog. Here’s Gizmodo’s pre-WWDC tear down. 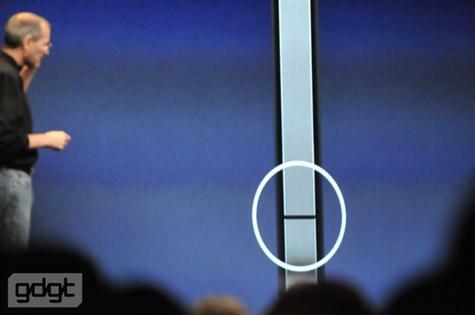 Update: Some images replaced with high quality ones from the iPhone 4 Design video.